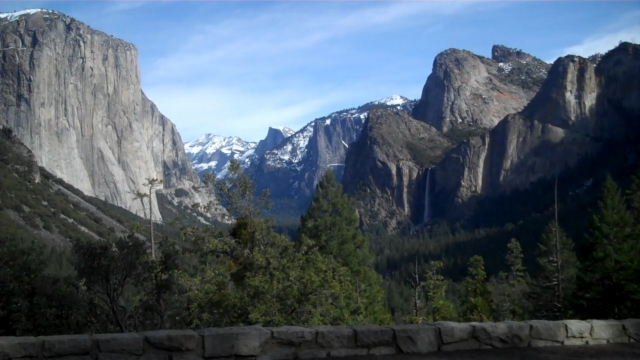 As you know, we were at Yosemite a couple of weekends ago, and enjoyed the unseasonably warm weather. Things have changed a bit since then – winter has returned, regardless of the prediction made by Punxsutawny Phil. 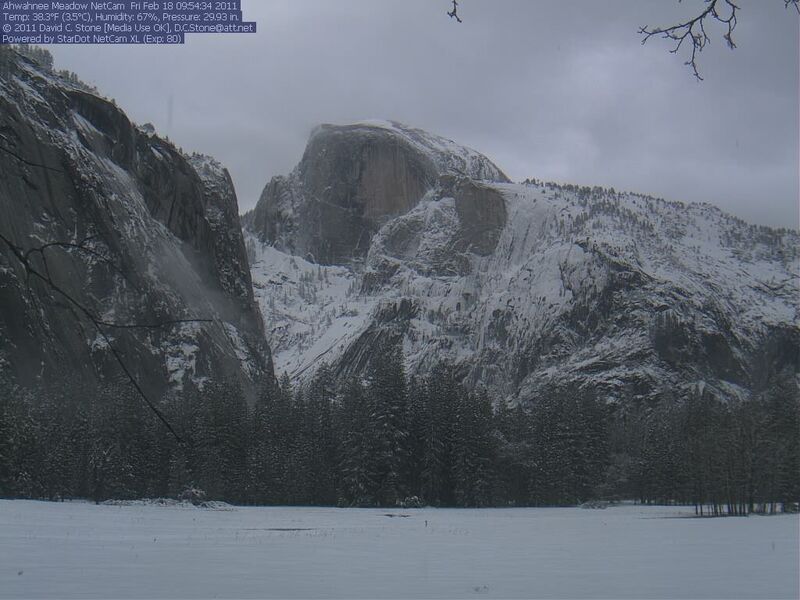 Here’s the tunnel view on Super Bowl weekend, and today’s Ahwahnee meadow webcam view.